Working Paper presentation: "The territory in the political action of Pasqual Maragall"
Why analyzing Pasqual Maragall? Josep Báguena explained that the study of his political figure is due to his intrinsic interest in questions of governance (from a point of view of urban planning), with a special interest for his origins and design of the territorial policies that were developed as throughout the sixth legislature. It was in this period, when a renewed facet in the political action of Pasqual maragall was shown; "the territory as an object of public policy". The paper presented does not seek to be an exhaustive analysis of that period, but an overlap of the policies taking into account its complex and structured thinking. Thus, thought and action configure a theoretical scheme of the political sciences that were developed during those years. The policies deployed went further than expected, as they became a political instrument, the result of complex thinking. 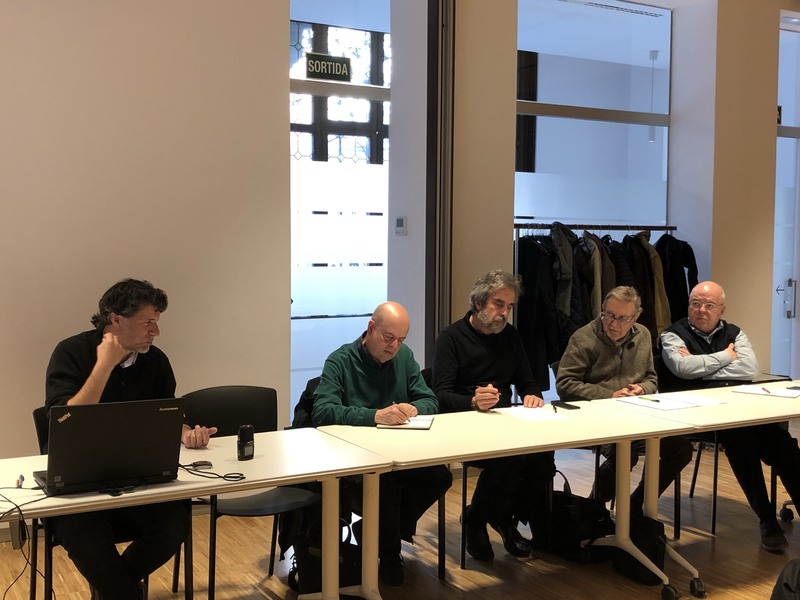 As explained by Báguena, to carry out the paper, different scales of implementation of some public policies for each of the dimensions and phases were analyzed. Starting from the neighborhood unit, the environmental vision of the territory is reached. Thus, territories become political subjects that exist and that make their own neighborhood laws. During the second part of the seminar, a colloquium was held with the different interventions of all the assistants. Josep M.Carrera (chief president from AMB), contributed with his vision of the topic explaining that in order to overcome the very important crisis in which we are currently subjected, it is necessary to pacify the effects that some policies have and create new bases for see what elements have failed. Juli Esteban, doctor honoris causa by the Universitat Politècnica de Catalunya, added that one of the most important findings of Pasqual Maragall was the need for local thought to be able to act globally and the relationship between areas and networks that are empowered to address future areas. Jaume Miranda, doctor honoris causa for the University of Lleida contributed that "the crisis does not need gardeners, what it looks for are chemists to eliminate the evil seed that has planted", insisting on the fact that basic information is essential to advance for public policies. 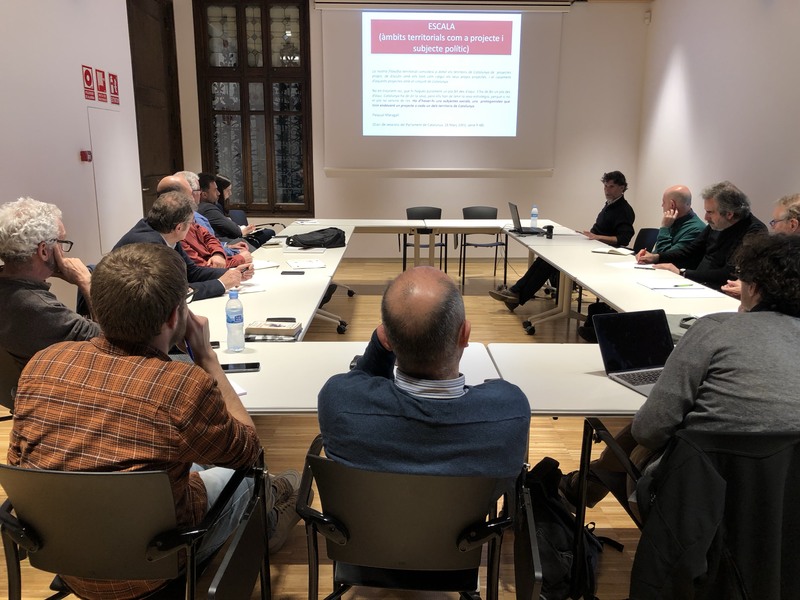 Marc Martí, doctor on public policies of the Autonomous University of Barcelona, spoke about the concepts of integrality and transversality. He added that the knowledge of the institutions was, at that time, an institutional potential that had never been used. 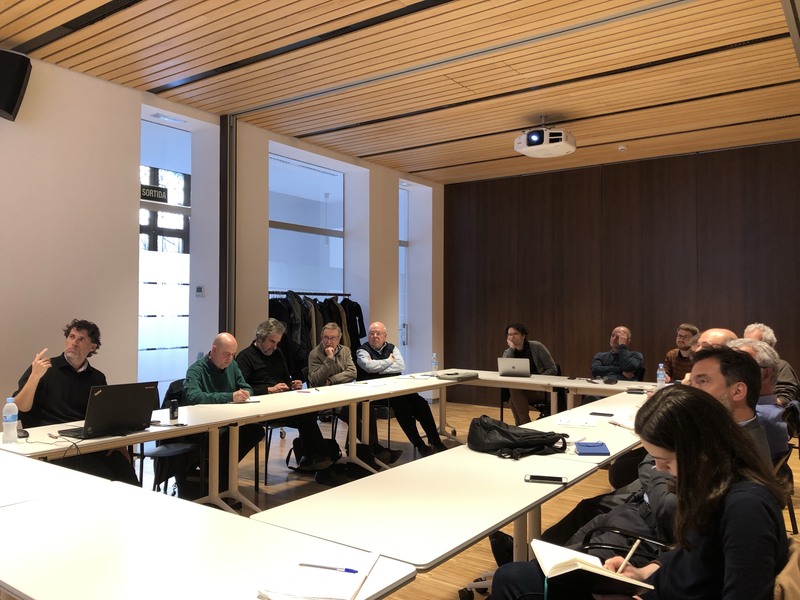 Another of the interventions, by Andreu Morillas, offered his vision as a participant in the government during that period, explained that subsidiarity was based on a deep thought: everything a small area can do,should be the work of a bigger one. The principle of alternative government was to get out of a traditional dynamics. One of the measures that allowed this new paradigm was the constitution of the group Ciutadans pel Canvi (Citizens for the Change).